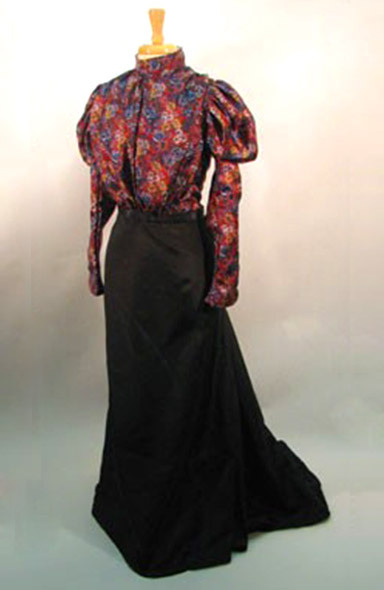 This dress was built for Barbara Jo Call for a voyage on the luxurious Orient Express from London to Venice. 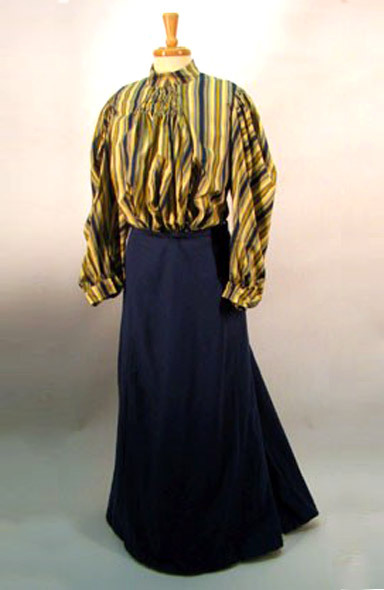 The straight and vertical lines foreshadow the tubular dresses from postwar styles. 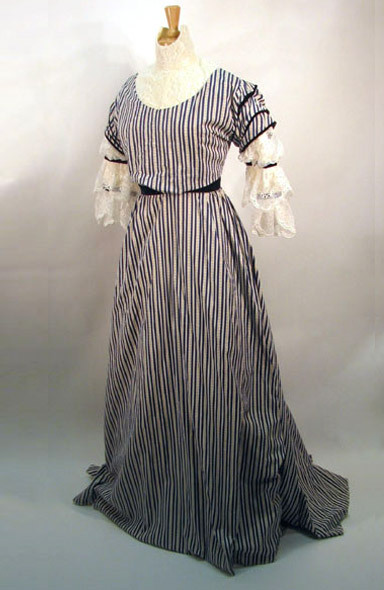 The entire dress was draped without using a pattern, but cut carefully to realize the elegant lines of the period. Very heavy beaded and tasseled trim hangs on the sleeves and bodice back. Heavily beaded appliqués trim the neckline, upper sleeves and skirt. 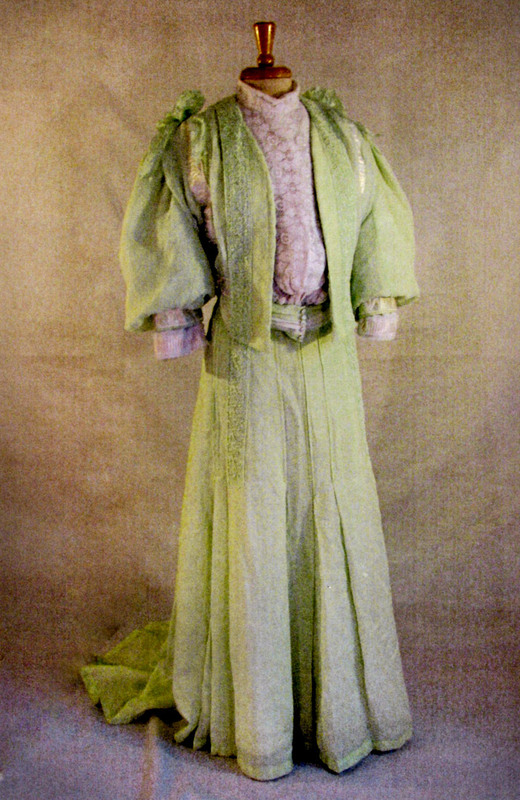 The under dress is olive green silk satin, covered in a silk chiffon in shifting browns and greens. The wearer’s favorite color is olive green so we made considerable use of the color. 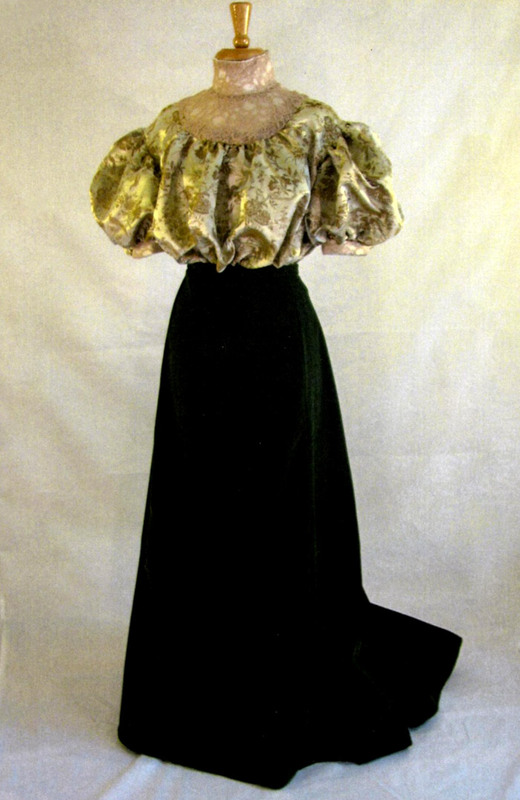 The bodice is asymmetrically over draped in unique Fortuni ‘perma-pleated’ metallic fabric. 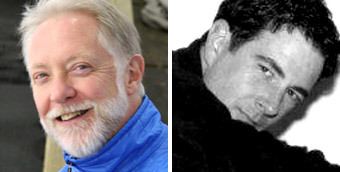 The fringe is knotted silks. The buttons are black glass with gold leaf and hide a (gasp) zipper closure. The beaded and tasseled trim piece on the back neck is hook and eyed to the right shoulder to ease in putting on the dress. 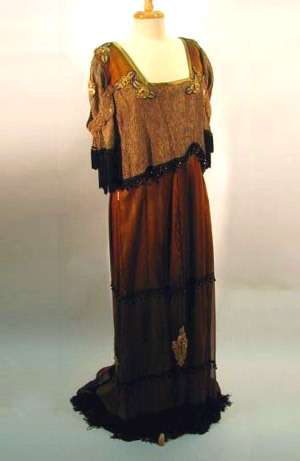 There is bugle beading in gold and rust in vertical lines on the skirt adding to the long lines of the evening gown. The client is full figured but moderately tall so the lines of the gown were spectacularly slimming and flattering. There are interesting photographs of Queen Mary in gowns very similar in cut and styling to this one in her biographies. 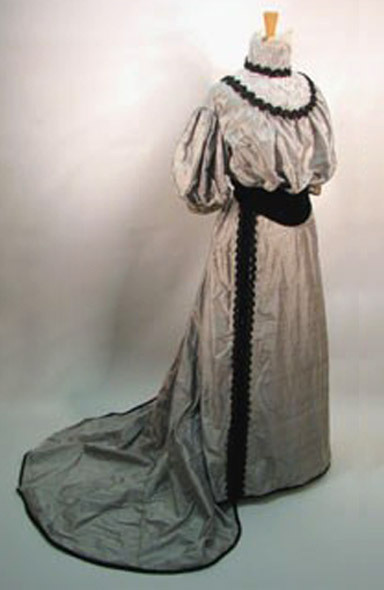 Her husband’s preference for this style found her wearing similar garments up until his death in 1936, while women in the United Kingdom and all over Europe had adopted the knee length skirt even for court dress. 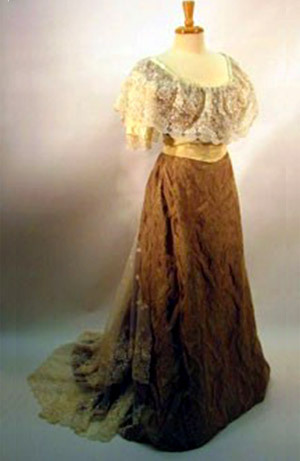 Evening dresses on the Titanic were of this style. 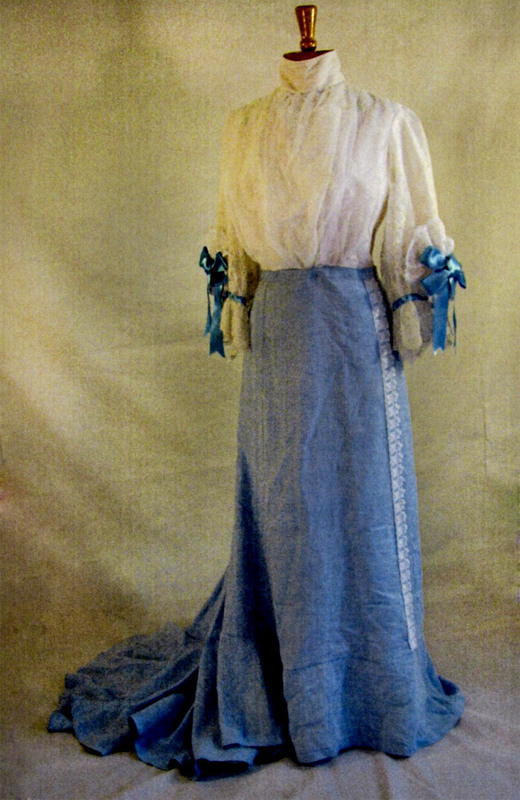 The maiden voyage of the original Simplon Orient Express occurred roughly in 1912 as well, hence the choice of gown by Miss Call for the evening dinner on board the train.